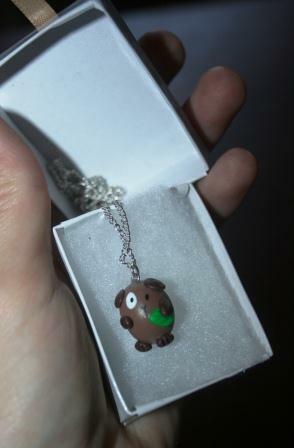 Two Bears Farm and the Three Cubs: Cute Guinea Pig Jewelry from Momo's Piggery - Giveaway! 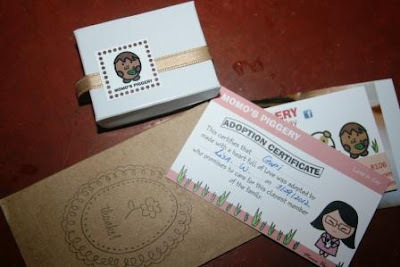 Cute Guinea Pig Jewelry from Momo's Piggery - Giveaway! Her signature item is named Gupi, and he arrived in my mailbox in the cutest packaging. She offers free gift wrapping, and each item comes with an adoption certificate. When I opened the box to see Gupi in there, I was charmed. Such personality in a tiny little necklace! 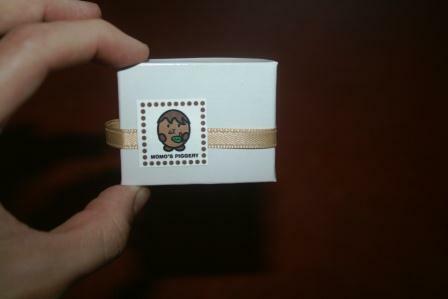 What a unique and special gift these would make, and you could feel good knowing that you're also contributing to a wonderful cause. Furthermore, if you check out Momo's prices you'll see that not only are they very reasonable, but her shipping and handling is also quite affordable. Next time I need a birthday gift for a little girl, I know exactly where I can find the perfect creation. Momo has generously offered to give away to one reader one item of your choice from her store! She is willing to ship to the US or Canada! To enter, just click on the "Read More" under my signature. Disclaimer: I received one item from Momo's Piggery of my choice. My opinions and thoughts about Momo's Piggery are all my own. I LOVE the Rocky Glass Magnets! Such a cute shop! These are so cute! I love the paperwork that come with them. Great little animals! !! You have a great day!! So cute and such a good cause! So very cute! My nieces want a guinea pig but considering they have two giant (like 150lbs giant! ), it's probably not going to happen! Ahh, that would have appeal for many. I had a guinea pig as a child and can relate to your heart for animals. 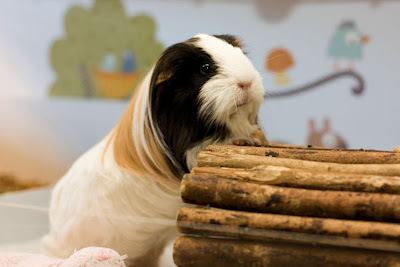 Very cute, I stumbled onto rescue guinea pigs when I was looking at rescue dogs recently. Who knew! Oh, how sweet! I'll be sure to bookmark for Hunter's next birthday. She'd love that sweet necklace. I love everything on the site - so sweet and for such a wonderful cause. I love animals as well - all of them and think it is so sad there are so many homeless animals looking for that 'forever home'. Puddy Holder or the Rock My Heart necklace. Both are super cute! I love guinea pigs! My very first pet was a brown guinea pig named Snoopy. Since Snoopy, I've always had one or more guinea pigs. I think they make the most perfect pets too. I just love how creative people are. They are way cute! My 11-year-old loves hamsters and guinea pigs. She would love to have that. These are ADORABLE!!! I'd love the Toadstool necklace or the Love in a bottle one. So fun! I would probably choose the name tags.. so cute! Thanks! Thank you for raising awareness about guinea pigs. I don't know much about them, so it's a good lesson for me. It makes me want to find out more. I, too, love animals and hurt for those who need a forever home. I especially like the taggin necklaces and the love in a bottle pendant. I did not know ginny pigs need homes as much as other furries. Thanks for passing this along--my first pet was a guinea pig! Too sweet. Since my niece just received her first guinea pig for her 11th birthday this month, I would get her Love in a Bottle! How cute! I never think of guinea pigs needing homes too. I would love "Love in a bottle" for the fur of my little guy who I lost in December. I would like Maggie the Guinea pig necklace. We have a guinea pig and my daughters would love this necklace. So many cute things to choose from... I would choose the Gupi Green Leaves Embellished Necklace. I love the dino bracelet, it's so cute!! Thanks for the giveaway! I love the taggin necklaces. Super cute! Everything is so cute!!! I love the Love in a Bottle Necklace. So neat! kristiedonelson(at)gmail(dot)com Thank you. All of her items are adorable. I love the love birds photo holder.